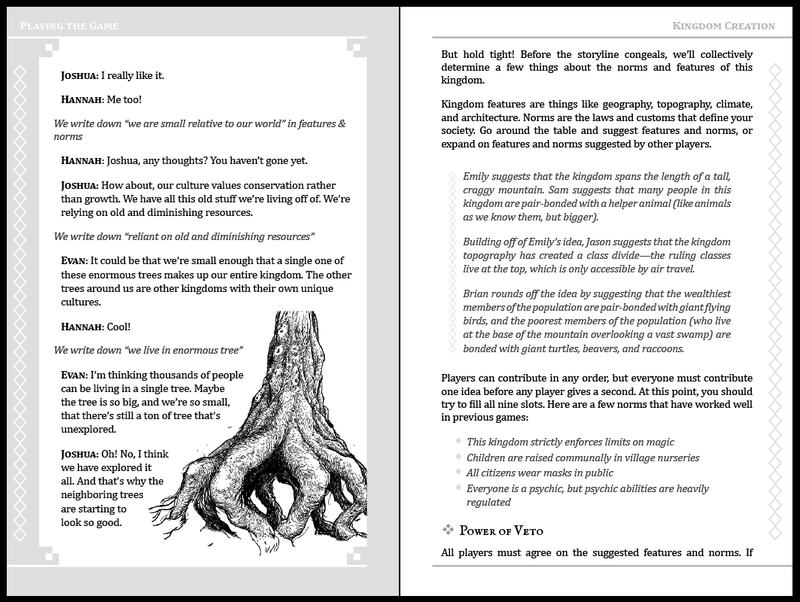 Today, a Kickstarter update went out to Questlandia backers with information about the upcoming game release, and a sneak peek of a 2-page spread from the book. 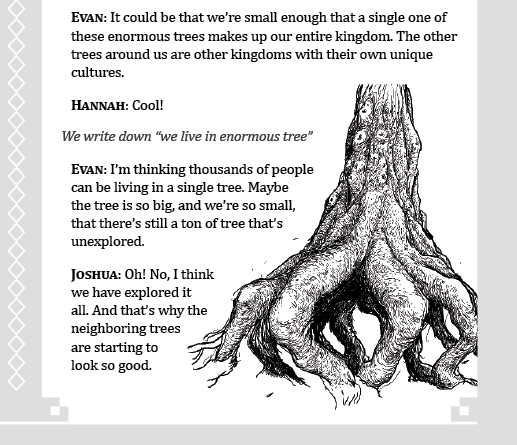 A 2-page spread from the Kingdom Creation section of Questlandia. Click image to enlarge. A close-up from the left side transcript page. We’re still on track to have the finished books ready for shipping by the end of the month. I can’t wait!